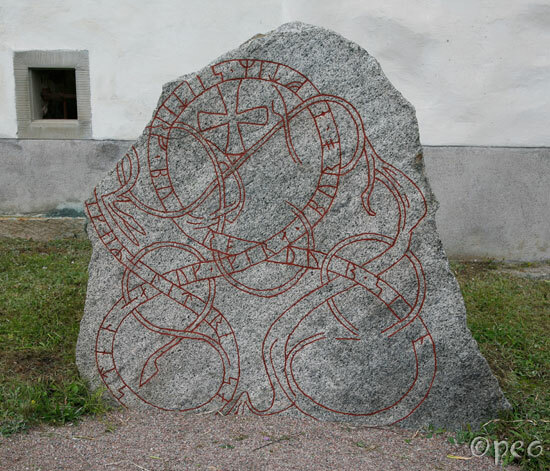 Two of the rune stones standing in front of Björklinge church. There are four of them all in all + another one standing in front of the parking lot. 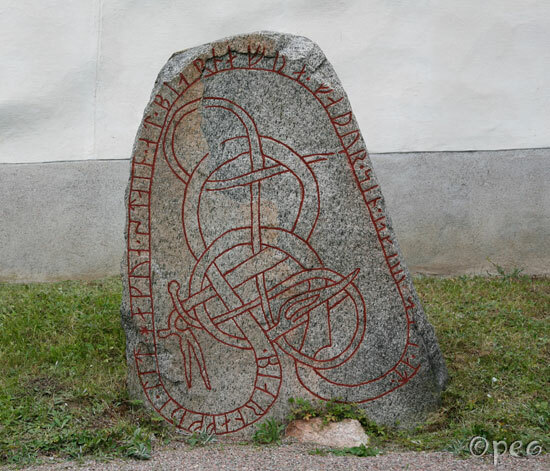 ...-geirr had the stone raised and the bridge made in memory of Sædjarfr/Sigdjarfr, his brother.